Should You File Bankruptcy Before a Sheriff Sale? The Third Circuit Court of Appeals in In re Connors, 497 F. 3d 314 (3d Cir. 2007), held that a debtor filing a Chapter 13 bankruptcy does not have the right to cure a default on a mortgage secured by the debtor's home between the time the residence is sold at a foreclosure sale and the time the deed is delivered. This is bad news for debtors losing their home at a sheriff sale. On the other hand, it is good news for investors and banks looking to take back the property after a sheriff sale. As soon as you receive any notice with any mention of a sheriff sale, it is recommended you see an experienced lawyer or you risk losing your home or property. Because of this decision, it is critical that a person contact a lawyer when they receive notice that their house is in foreclosure so that they can get a chance to cure the mortgage through a chapter 13 bankruptcy plan. A client or debtor will have five years to cure the back due amounts or arrears on a mortgage in order to save their home or real estate. If a debtor or consumer waits until after the sheriff sale, they will in all likelihood lose their property. We counsel all clients about how important it is to file the bankruptcy before the sheriff sale. Now, because of the Connors' decision it is more important than ever to file the bankruptcy in the beginning of the foreclosure process. By way of background, a foreclosure action has to be taken all the way to a sheriff sale in order for a property owner's rights to be cut off. This sale is held in an auction format with the sheriff slamming down the gavel or hammer at the end of the sale. A homeowner has 10 days after this point in New Jersey to redeem the mortgage or pay off the full amount of the mortgage. If this 10 days passes, a sheriff's deed is issued to the successful purchaser. Prior to this Connors' decision, the bankruptcy courts in the third circuit were split over when a person actually lost the property. One line of courts held that once the sheriff's gavel fell at a sheriff sale, the person lost rights to the house. This rule is commonly referred to as the gavel rule. In contrast, the other line of courts held that it was not until the delivery of the deed that the person lost rights to the property. This was referred to as the deed rule. Debtors benefited greatly under the deed rule because they could lose their house at a sheriff sale, but as long as they filed bankruptcy before the 10 days passed, they could still cure their mortgage over a five year chapter 13 bankruptcy plan. Now, debtors have lost this right as a result of the Connors' decision. There is only one way to save a property now after a sheriff sale occurs. You can still file a bankruptcy after a sheriff sale and before the 10 day right of redemption passes. This is a risky and difficult way to save the real estate but it can be done. You must file the bankruptcy within 10 days after the sheriff sale. Then, under 11 U.S.C. Section 108, you are permitted an additional 60 days to come up with the funds to pay off the mortgage. The mortgage, however, has to be paid in full. This is usually extremely difficult for someone filing bankruptcy. Usually, their credit is already damaged and they cannot obtain financing. Thus, the debtor is unable to obtain a new mortgage. Many times, the only option is to sell the home or real estate in this short 60 day time frame. Additionally, loan modifications have become more prevalent. However, the loan modification process should have been started long before a sheriff sale on a property is about to occur. A successful loan modification is more likely if the process is started early on in the foreclosure or when a borrower first becomes delinquent on a loan. Learn more about federal Home Affordable Modification Program. Most important, do not sit on your rights; work early and aggressively toward stopping the foreclosure and saving your property. 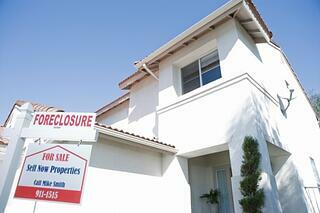 Contacting a New Jersey attorney early in the foreclosure process is the best way to avoid losing the house. Either way, if you receive notice of a sheriff sale you have to seek a bankruptcy attorney immediately or your ownership rights could be cut off. Contact a lawyer in one of our NJ offices to discuss your options. The earlier on in the foreclosure process you call us to discuss your situation, the more options we will have to try to save your home or property. Most important, do not sit back and lose the property without exploring the best financial strategies.